Monthly Articles & Tips on Living In Pono! 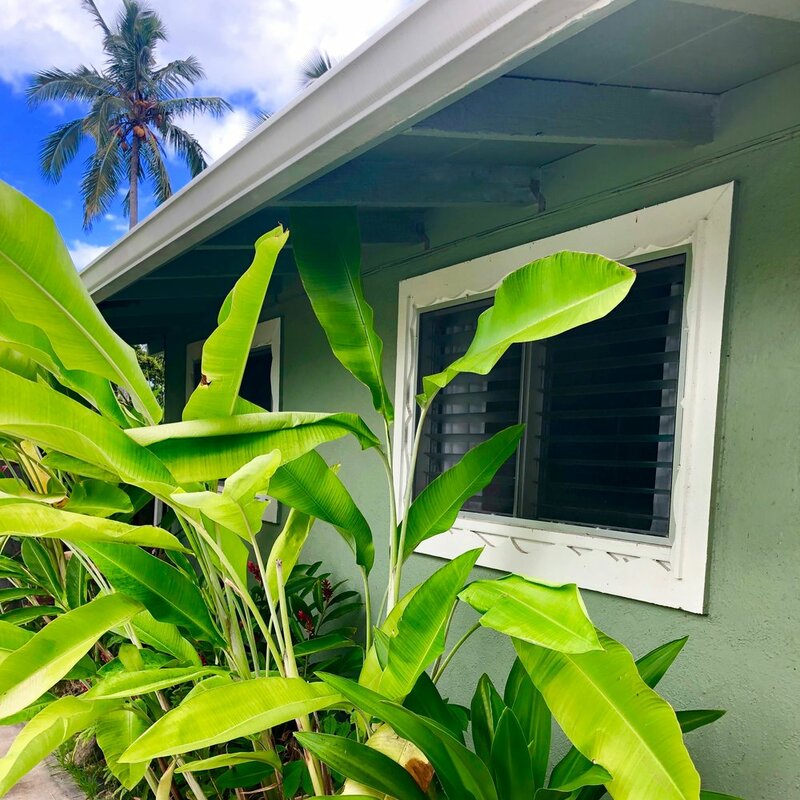 Vlogging on Island Living - Insider details on the house “next door” to see how your friends and neighbors are Living In Pono! Our blog features locals all throughout Hawaii and how they are Designing With Mana to promote health, well being and visual peace. I’m super pumped with FINALLY creating and publishing the first the blog that I have been creatively planning out in my head for over a year now! To finally see it come to fruition and to press “Save & Publish” is such an awesome feeling! Mahalo for sharing this journey with me! I hope you enjoy for years to come! So this blog is dedicated to REAL living design inspiration taken from YOUR design perspective, yet narrated through MY lens of *Designing With Mana. Interview with Lisa Keaney @injectables_hawaii. 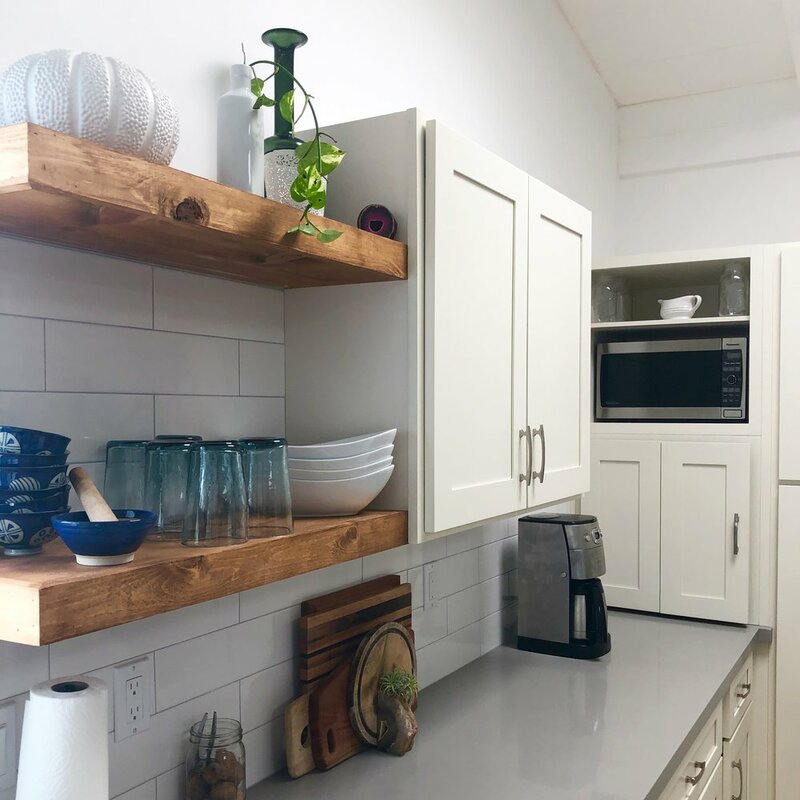 Looking into the beautifully remodeled kitchen of Kailua residents, Lisa and Brendan Keaney, it’s clear to see that the mantra they adopted, “less is more”, not only helped them get through the whole design process, but it became the prevailing visual aesthetic throughout their home. Some say that a dog often looks like their owners… well I’m going to apply that same rule to homes & their owners! This sweet, clean, & inviting home leaves you wanting to just bask in relaxation coupled with good times and lots of laughter - most likely with a glass of wine in hand! Lisa basically gave herself permission to get rid of dishes that they had for the last 10 years so that she could “start fresh” and bring new energy (mana) into her new space. New mana & new intentions served on new dishes… what a concept! Lisa & Brendan unknowingly kept Designing with Mana at the forefront of their remodel when it came to budget. Although they had a ball park figure in mind as to what they thought they might spend, their motto was to get things done by a professional (this time), to have it look nice and stylish, yet keep the overall kitchen remodel affordable so it didn’t add to additional stress in their daily lives. Lisa shared that research, research and more reserarch not only saved them money without compromising style, but could have possibly saved them money they had to fork over from unexpected building costs when it came to plans and permitting. When it came to considering their own contribution to caring for the ‘Aina and repurposing, Lisa and Brendan made sure to try to recycle all that they could so that it didn’t end up in our land fill. Unfortunately, due to things beyond their control, they couldn’t re-use most of their tongue & groove for the rebuild, but they were able to incorporate a section of it into their kitchen island which really helps to tie in their beachy style. They were also able to save and re-sell large portions of their recently remodeled flooring that needed to be replaced as well as other things such as kitchen gadgets, hardware, cabs etc. SUBJECT: STYLING & DECOR - Kailua.Beachy.Boho. I loved the word that Lisa kept using to describe her home, and the little spaces that she created that lights her heart up… that word is “sweet”. It has a connotation that evokes feelings such as, pure, clean, cozy, inviting, and visually peaceful. As I had mentioned earlier, I feel like a home is a representation of the home owners and the all of the mana a family brings to a home and there is no exception here in this house. The beach life they have created together stemmed from not only a previous career in Brendan’s earlier days of being a boat Captain, and Lisa being a crew member, but also the love of surfing they both share that seems to be the glue that has worked in keeping their relationship and their family happy and healthy over the last 15+ years. It’s easy to see how this love of all things ocean plays a part in their design aesthetics within their home. As you can clearly see in the photo diary above, that the design style is seemless throughout their home. From art work on the walls, to mobiles hanging outside that frame the outdoor seating, their hand in creating things as a family have blessed thier home with the use of drift wood found on our local Kailua beaches. She also uses greenery everywhere to create a polished, clean, full of life design scape within her home. Her go to is cutting her larger than life monstera leaves for her entry way, along with the sweet smaller leaves for sprucing up for a house party on the kid’s art table. She has air plants everywhere! I personally loved how she incorporated them into her bathroom! Her Boho style seems to be reflected in the carefully selected items placed throughout her house gathered over their travels, that seem to have a common theme of hand made, natural materials or textures, and white or off white for clean and unobstructed mana throughout the house. Overall, I just loved the peace and calm that came over me when chit chatting with her in her home. You can really tell that it also brings her that same feeling when she comes home from a long day of work of being an ER Nurse coupled with working hard at building her own business @Injectables_Hawaii. With all that is going on in their busy lives, it’s a place she loves to come home to, and a home that replenishes her spirit. *For help with your remodel, design, or spacializing needs please give me a call for a free phone consultation! I would love to coach you in how to combine organization, intention & beautiful decor into your home, creating mana that recharges your spirit on the daily! So today on my IG post I shared about how sacred the act is of placing our intention on breath is and how I came to writing this article was due to my sister pointing out to me that the Aloe Vera plant she placed on her bed side table is found to be beneficial to have near us at night due to it’s ability to enhance the air quality of it’s environment it lives in. Therefore, enhancing the quality of our breathing while we sleep! I thought, what a perfect subject to highlight right now, with many of us concerned about the quality of our air due to our recent volcanic eruptions🌋. 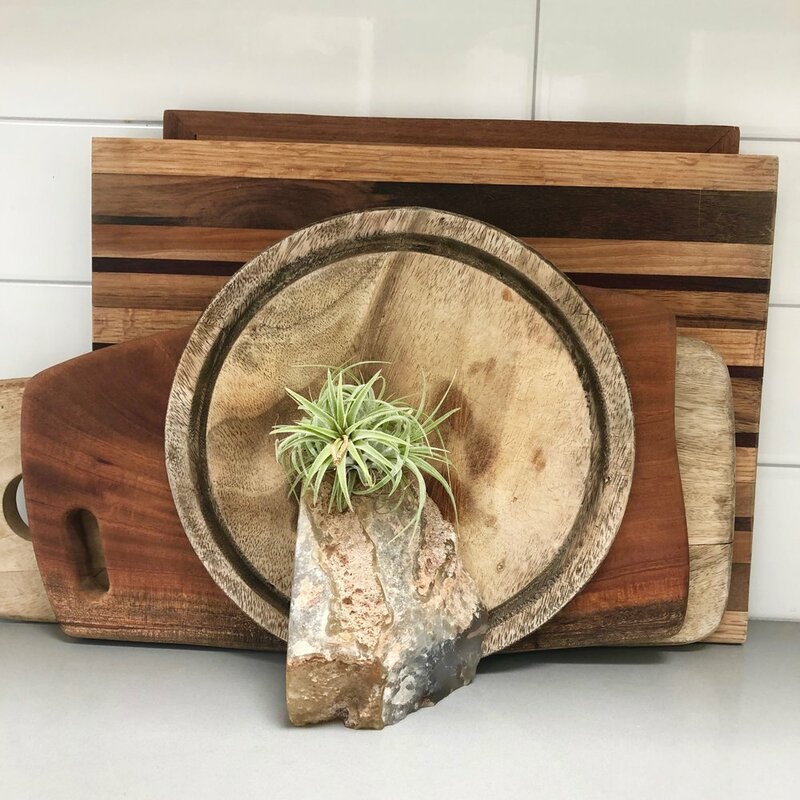 Along with some of the great info on plants I have included some DYI projects you could do to make some pretty cool planters yourself AND some local artist who's craft is making some AHHHMAZING planters. Aloe Vera has a LONG list of health benefits, but the fact that it emits oxygen at night, making for a more peaceful nights sleep. Like the mother n law plant it also diffuses toxins in our home environment making this one of NASA's top ranking plants to have near our beds at night. An inexpensive "bedroom plant" Mother-In-Law's Tongue is another amazing choice for your bedroom decor! Like Aloe Vera "this plant emits oxygen at night time whilst simultaneously taking in carbon dioxide – something we naturally produce when breathing. All this leads to a purer quality of air and a better night’s sleep." - It also acts as a diffuser to these nasty chemicals formaldehyde, trichloroethylene, xylene, toluene, and benzene that can be found in items such as certain rugs, furniture, mattresses and on and on. Do your homework before you buy home furnishings... go green when you can! The Sleep Judge speaks to the benefits of the Gardenia plant and has this to say in relationship to it helping as a sleep aid, "Gardenia is particularly useful due to its antioxidant, antibacterial and anti-inflammatory properties. It’s also commonly used for its natural sedative-purposes, which will help you fall asleep faster." Another source noted that it might be as effective as taking Valium! Although Kava did not make NASA's list, it definitely makes my list! Having Kava as a means to relax my mind, body and spirit I speak from my personal experience with it aiding in the calming of my nervous system. Depending on the type of Kava and where it is grown it can honestly give me both an alertness coupled with openness of mind acting somewhat as a stimulant to ideas and conversations. OR it has really allowed me to sink down into the seat of my being, and just be ok with the nothingness, yet the vastness of each passing moment, therefore assisting me to slow down. All I know is, I usually have the best sleep and sometimes the most amazing dreams after a night of enjoying Kava with my 'Ohana & friends. FYI: Plants love fashion too!!! This amazing artist, who I feel like I have admired for years now is just killing it! I love her style, I love her ethics, I love her design sense... she rocks the plant fashion world! - Jessica Onetti, owner & designer of Plantsax has taken her joy of reuse and passion for textiles and paired it with her plant infatuation. It's a no brainer to #supportlocal and buy yourself some plant LOVE for your hale! 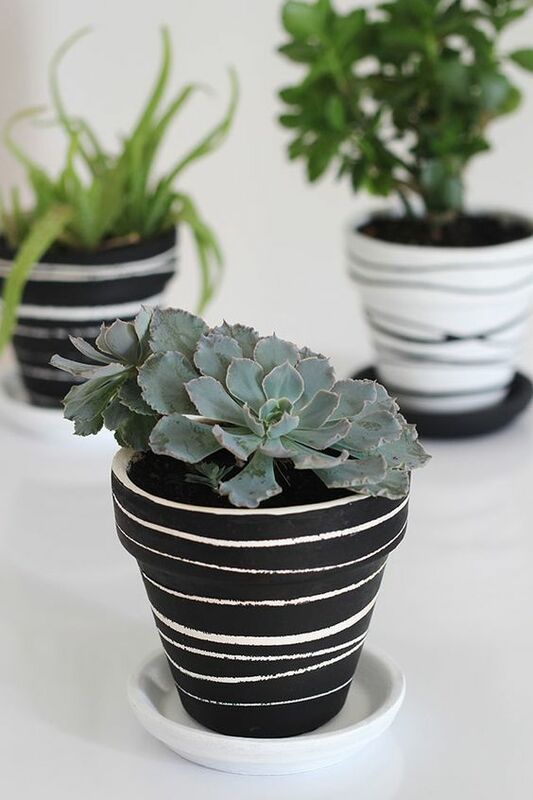 DIY Planters that are easy to do! How cute is this? AND...Hello!?... How easy is this? Perfect size for a nightstand! Get to planting people! So these DIY blogs are chalk full of how to's and inspiration! No reason to wait any longer on adding these simple touches to your home and change the mana in your space! If you would like to book a consultation with me on how to create these looks and more for your home, book your appointment today! It is a life changing decision! Become more clear, more creative, have more peace and harmony throughout your home all by using your space and belongings in a way that brings long lasting Visual Peace to your home! It's Tax Season! Is it time to clear your desk? 5 Simple Solutions to managing the Spring time clutter! The Power of the Green! Creating Visual peace with adding green into your hale. Bringing Pono Back! Last week we talked about just simply taking mental inventory of what is in your home. I invited you to sit with areas that you look at on a daily basis and rather than think about what you need to do to "fix" it, I wanted you to just observe how items or spaces made you feel. Checking in with your na'au and asking whether or not the situation serves your highest good anymore really helps you start the process of bringing pono back into your life from a spiritual basis, rather than always from a logical mindset. Recognizing how certain areas, items, placement of furniture, etc. can make you feel will ultimately help to motivate you to clear mana, vs. feeling overwhelmed with a room. Perhaps that item needs to just be dusted off and placed in a new corner, or maybe the picture that you purchased with your last partner needs to be donated to a new home. It can be a refreshing experience when you can recongnize why you have made certain attachments to the way things are set up in your home. Remember the goal is mental clarity within your environment so that you can make space for more creativity, which in my belief leads to spiritual growth! Clouds the mind. Affects your mood. Adds to mental stress. Start by writing down YOUR COMMITMENT to MENTAL CLARITY within your home. Do this by simply sending a text to your partner, your best friend or writing an actual physical note with a pen to paper and pin it on your bulletin board or fridge to serve as your mantra for the month. Secondly, I invite you to make advancements in bringing about MENTAL CLARITY within your home by starting with a smaller area. 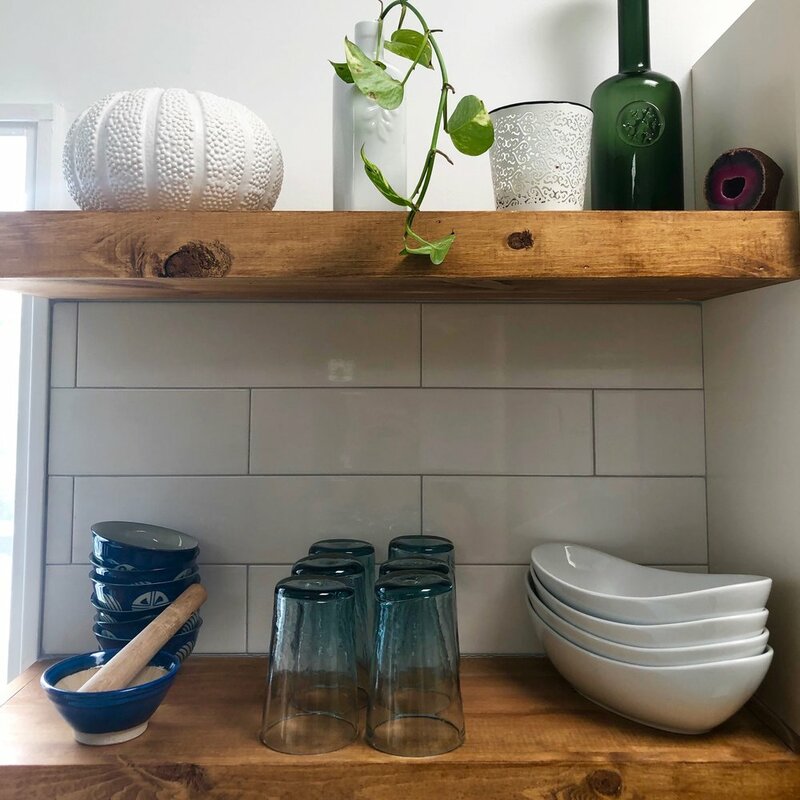 This week/month choose only one room, or even something as "small" as a daunting daily chore like the making sure the dishes are done and put away at the start of every day to bring visual peace into your world. This way you are building your "clearing/cleaning" muscles at a gradual pace just as you would with a health or exercise regime so as to not exhaust the mind and body all at once! I was just telling my girlfriend this week, that my life is busy, busy, busy, and there are days where I have to choose between the dishes while the baby naps, or finishing work projects that have imminent deadlines, all of which adds to my mental clutter and brings underlying stress into my environment. (TIP:) So one of my tricks is, I set out a goal for the day, week, and or month and COMMIT to just one chore that I know will make me happy. Last month I decided that I would start by clearing, organizing, and re-designing the space within my son's room (which also doubles as my office). I put away his clothes, moved furniture around, used a different bedspread, and organized his toys. I was elated with the zen outcome of the room when I was finished! I chose this room, not only because I had been neglecting it for months, but also because I knew that this is an area that would be much easier for me to keep VISUALLY PEACEFUL. I also knew that when it's not as tidy and the clean clothes are piled on the bed and need to be put away, I can close the door until I can schedule some time to get to it. Although, when it is clean but the rest of the house is littered with toys, dishes, laundry and a to-do list that wont stop playing over and over in my head, I just open the door to my son's room, look in and let go of any tension, breathe and say aaaaaahhh. Believe it or not, all it takes for me is a small moment of VISUAL PEACE that can bring me MENTAL CLARITY and PEACE OF MIND, which ultimately allows me the chance to ho'omana and elevates my spirit. Feeling recharged, I am able to close the door again (so it stays that way lol), and move through my day to enjoy the laughter of my son, work on a project, or just enjoy the process of life unfolding as it should without judgment.